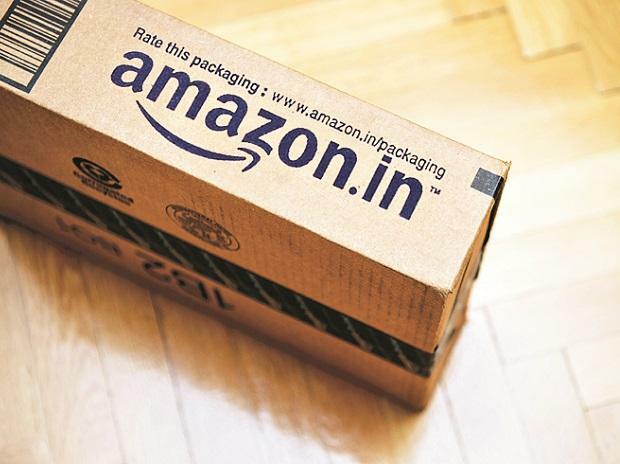 Amazon.com Inc, the world largest e-commerce company, has infused Rs 240 crore in Amazon Retail India (ARIPL), one of its units in India that manages the supply of grocery and food items, as it looks to double down on the segment in the coming months. ARIPL has received the fund from Amazon Corporate Holdings, the holding entity registered in Singapore, and US-registered parent entity Amazon.com Ltd, according to company filings sourced from Paper.vc, a business intelligence platform. The infusion is against an allotment of 240 million equity shares of face value Rs 10 each. The entity has so far received Rs 115 crore from Amazon. Last week, Amazon Retail’s filings with the corporate ministry showed that the firm had increased its authorised share capital to Rs 355.5 crore from Rs 165.5 crore earlier, through an extraordinary general meeting this month. Authorised share capital, a term given to all shares of the company, is the total number of shares a firm can float to the investors, promoters or employees. ARIPL is a subsidiary of Amazon and is engaged in procuring and selling grocery items like packaged foods, cooking and household stock, personal care items, and perishable commodities like fruits and vegetables. The entity was incorporated in 2017, to leverage upon the new policy that allowed 100 per cent foreign direct investment in food retail in India. Amazon had then committed to invest to $500 million to the business. ARIPL had received a license to retail food products through an inventory-led model. However, specific conditions regarding the policy such as the need for a separate warehouse for food stock did not allow the plans to take off. Between the end of 2017 and early 2018, Amazon had converted ARIPL into a seller of grocery items on the Amazon.in platform. ARIPL buys goods from retailers and distributors, then sells it under the Amazon Pantry storefront on its e-site. It also powers Prime Now, an independent two-hour delivery service that was launched by Amazon in May 2018. Among other categories, Amazon is focussing on grocery, which is a high-repeat business. The strategy is to target all customers on Amazon.in and convert them to grocery buyers through discount offers and targeted ads. With the fresh fund infusion into ARIPL, Amazon is looking to expand inventory and its scale of operations. Amazon’s fresh cash infusion into ARIPL closely follows a $150-million funding round at Big Basket, which is by far said to be the largest player in the online grocery delivery space with a valuation of $2.3 billion. The series F round at Big Basket was subscribed by Mirae Asset, CDC Group and existing investor Alibaba. The grocery business is crucial for e-commerce players from Flipkart to Amazon for its high-repeat value. The segment is now defined by four camps — Flipkart Supermart, Amazon Pantry, Big Basket and Grofers. Earlier this month, Grofers announced the raising of $60 million from SoftBank Vision Fund.